In this blog post, I review the newly opened Café Delhi Heights in Janpath, Delhi. 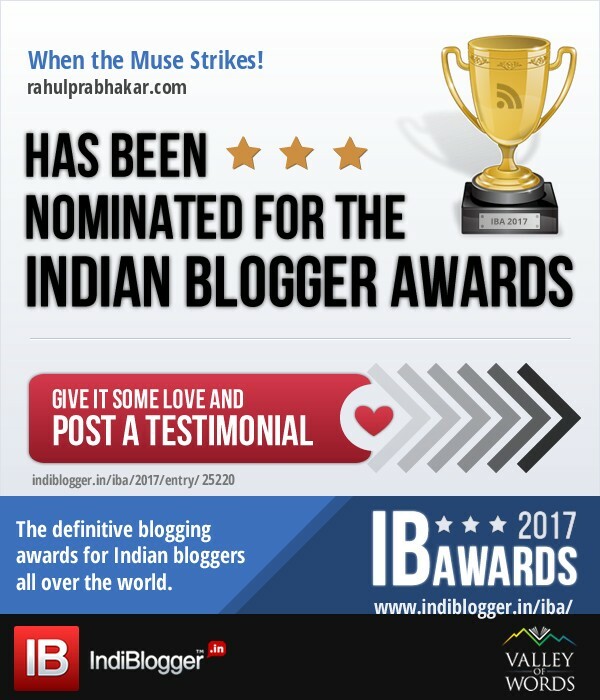 It is often said that true love for food resides in the heart of every Delhiite. I couldn't agree more! Café Delhi Heights has been my favorite haunt since ages. Perhaps it's my love for the mighty Juicy Lucy Burger that the café has nailed to perfection or their all-season Paani Puri that continues to be my weakness to date, Café Delhi Heights has the word 'amazing' written all over the place! 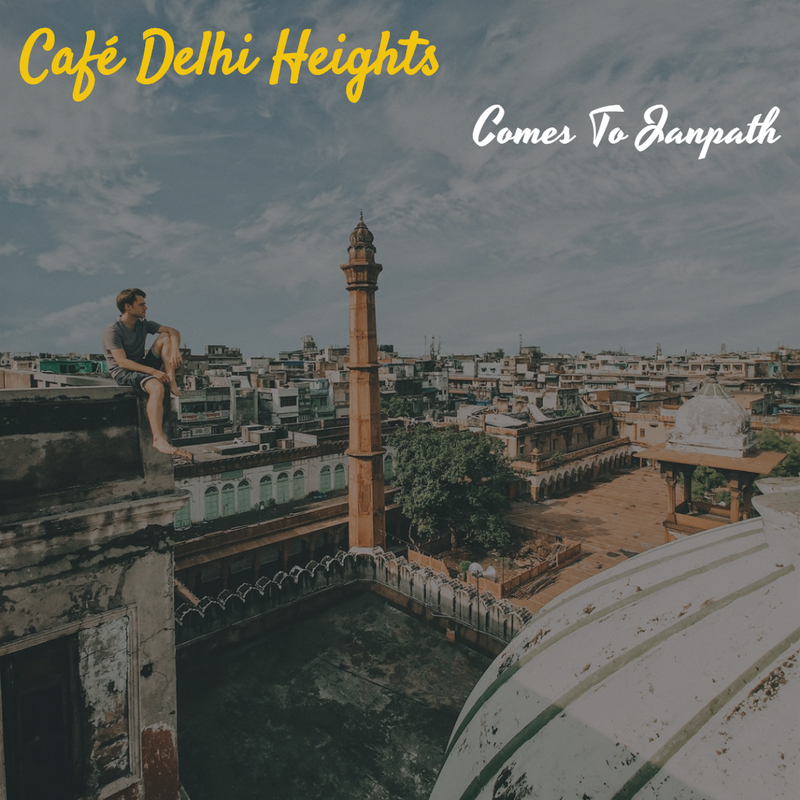 With its 16th outlet up and running at Janpath, Delhi, the café has decided to raise the ante by introducing bighearted portions of deliciously cooked dishes like the Sweet Potato Dabeli Chaat, Delhi Burger, Margherita Pizza, Crumbed Fish Fingers, Banoffee Pie, etc. Even the classic beverages have received a facelift; especially the freshly squeezed fruit juices, Choco Brownie Shake, and Masala Chai. The interiors are breathtaking with a beautiful amalgam of various designs and seating arrangements. From low Dhaba style seating to booth seating with LCDs; from leather seating to a Bohemian style lounge; a fine-dine area with a live European style open kitchen, Café Delhi Heights offers something for all and sundry. The brainchild of popular restaurateurs, Vikrant Batra and Sharad Batra (who're real brothers BTW), Café Delhi Heights takes a cue from varied cultures and regions of the world. Entrepreneur Vikrant Batra, who is already an established stalwart in the Indian Food and Beverage industry, is the mind and force behind the ingenious concepts of Café Delhi Heights. Recently, Vikrant won the "Restaurateur of the Year - North Region" at the Indian Restaurant Awards 2017. A graduate of Hindu College, Delhi University, Vikrant has completed a Restaurant Management course from the University of California and an MBA from the Fore School of Management. Vikrant opened his first Delhi Heights restaurant in Rajouri Garden in 2009. The other person apart from the Batra brothers who need to be credited for churning out an array of fabulously innovative and classic dishes that leave all your five senses tingling with joy is Chef Ashish Singh, the Corporate Chef at Café Delhi Heights. A passionate chef and winner of the Best Chef Award in the recently concluded Top Chef Awards Season 3, Chef Ashish believes in earning love through good multicuisine food, plating the best from his kitchen for every food connoisseur in the city. Having traveled the globe has helped him understand the intricacies of the global kitchen. In the past, he has worked with the Elaichi Kitchen and Bar (United Kingdom) as a Sous Chef. Chef Ashish has experience in various sections of the kitchen, menu planning, inventories, fusion food, and much more. True to its name, the café charms with its indispensable Delhi essence. From an eclectic mix of various cuisines to an ambiance that spells vogue, Café Delhi Heights redefines casual / comfort food dining like no other.